Today only at 1:00 pm Eastern Time, you can buy discounted Caesars hotel vacation packages through Daily Getaways. Travel must be completed by July 1, 2016. You have to book at least 30 days in advance. And there are black out dates such as New Year’s weekend and Super Bowl weekend. This is a great deal for folks who want to get Big Travel with Small Money in Las Vegas and Atlantic City. That’s because your hotel, round-trip limousine transfers, taxes, and resort fees are included and some also include dinner and show tickets! There are only a few of each of these offers and they’ll go fast! But you should double check prices before you buy. 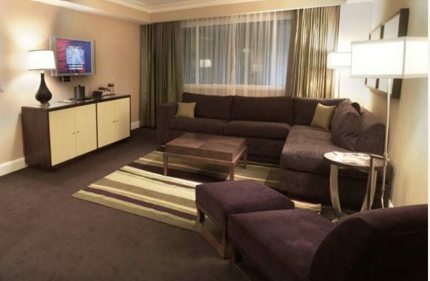 Live the Sweet Life in a Caesars Palace Suite for Less! Let’s see how much you’d save. 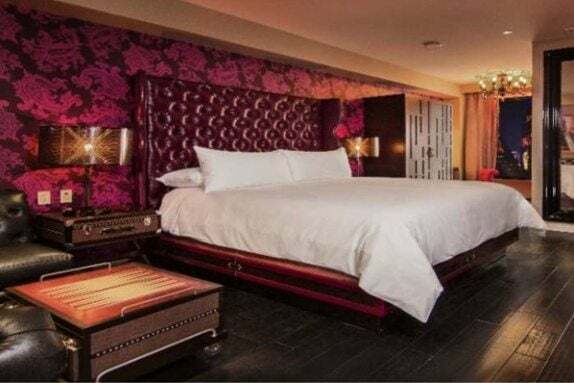 You can buy a certificate for 2 Nights at The Cromwell for $590 which includes a $100 breakfast dining credit, daily Drais pool and nightclub access, in-room champagne, and round-trip limousine transfers. A paid stay costs ~$563 and it does NOT include the $100 breakfast dining credit, daily Drais pool and nightclub access, in-room champagne, and round-trip limousine transfers! So buying this deal gets you hundreds of dollars in savings for only ~$27 more than booing just a room ($590 cost to buy deal – $563 cash rate). You can get a Daily Getaways certificate for 3 nights in a suite at Caesars Palace including a $200 dining credit, daily access to the fitness center, free in-room Wi-Fi, 2 show tickets, and round-trip limousine transfers for $1,400. While a paid stay costs ~$2,125 which is ~$725 more and does NOT include any of the extras! You can buy a certificate for 2 Nights at Paris Las Vegas for $350 which includes a $150 dinner credit, $150 Mandara Spa credit, in-room champagne, and round-trip limousine transfers. A paid stay which does NOT include the $150 dinner credit, $150 Mandara Spa credit, in-room champagne, and round-trip limousine transfers costs ~$746! So buying this deal saves you at least ~$396! You can get a Daily Getaways certificate for 2 nights at The LINQ Hotel & Casino for $350 including 2 show tickets, 2 High Roller tickets, in-room champagne, and round-trip limousine transfers. A paid stay without any of the extras costs ~$316, a ~$34 savings. But you’ll pay more than ~$34 just on round-trip limousine transfers! You can buy a certificate for 2 Nights at Bally’s for $315 which includes 2 buffet passes, 2 show tickets, in-room champagne, and round-trip limousine transfers. A paid stay costs ~$558 just for a room! You’ll save ~$243 buying this deal and get buffet & show tickets, champagne, and limousine transportation! You can get a Daily Getaways certificate for 2 nights at Harrah’s Resort Atlantic City including a $150 dinner credit, in-room champagne, and round-trip limousine transfers for $650. While a paid stay costs ~$874. So you’d save ~$224 buying this deal. You can save hundreds of dollars buying the Caesars Las Vegas and Atlantic City deals. But you should double check prices before you purchase a deal. You can buy discounted Caesars hotel packages through Daily Getaways today at 1:00 pm Eastern Time. There are black out dates (including New Year’s weekend and Super Bowl weekend). And you have to book 30 days in advance and travel by July 1, 2016. You’ll save money on Las Vegas and Atlantic City vacations with this deal (but double check prices before you book). You can see my review of Thursday’s and Friday’s Daily Getaway deals here.